MOSCOW, March 7. /TASS/ At about 15:00 Moscow time on March 6, Russia’s Antonov An-26 transport plane crashed while landing at Hmeymim airfield in Syria. The plane hit the ground when it was about 500 meters short of the runway. All 32 people on board - six crew members and 26 passengers - were killed. According to preliminary information, a technical malfunction could have been the cause of the disaster. 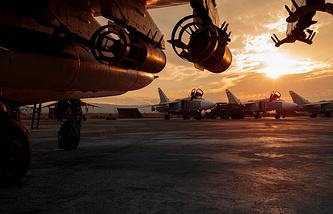 According to official information by the Russian Defense Ministry and Russian regional authorities, a total of 44 Russian servicemen have been killed in action since the Russian military operation in Syria began on September 30, 2015. In addition, one non-combat death has been recorded - on October 27, 2015, Russian contract serviceman Vadim Kostenko committed suicide at the Hmeymim base. On November 19, 2015, Fedor Zhuravlev was killed while on a combat mission in Syria. The officer was killed while guiding air-to-surface cruise missiles to terrorists’ positions. The details of his death are unknown. His death was officially confirmed only at a Kremlin ceremony to present military awards to those involved in the Syrian operation. On November 24, 2015, the F-16 Fighting Falcon of the Turkish Air Force shot down a Russian Su-24M in the Syrian airspace. The crew ejected, but pilot Oleg Peshkov was killed by fire from the ground. Co-pilot Konstantin Murakhtin was rescued in a 12-hour operation involving Russian and Syrian special forces. Alexander Pozynich, a Russian marine, was killed during the operation to recover the crew when a Mi-8 helicopter was blown up, apparently by an anti-tank missile fired by Syrian rebels. The helicopter crash-landed at neutral territory and was later blown up by fire from positions held by Syrian militant groups. On February 1, 2016, Russian military advisor, Col. Ivan Cheremisin, was fatally wounded when militants of the Islamic State terrorist group (outlawed in Russia) fired mortar rounds at Syrian army positions. 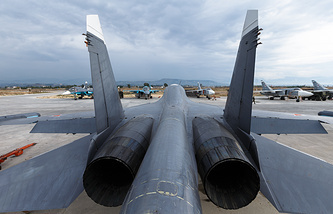 According to the Russian Defense Ministry, the serviceman was helping Syrian military to master new Russian military equipment received under existing defense contracts. On March 17, 2016, Lt. Alexander Prokhorenko was identifying targets for Russian airstrikes near Palmyra when he was surrounded by IS terrorists. He died after ordering an airstrike on his own location. On April 12, 2016 a Russain Mi-28N helicopter crashed near the city of Homs. Both crew members - pilot-in-command Andrei Okladnikov and co-pilot Viktor Pankov - were killed. According to the Russian Defense Ministry, the rotorcraft crashed due to a pilot error. On May 7, 2016, Russian sergeant Anton Yerygin died in a field hospital in Syria after being critically injured while escorting vehicles of the Russian Reconciliation Center in the Homs Governorate. On June 3, 2016, artillery reconnaissance officer, Capt. Marat Akhmetshin, was mortally wounded in a fight with terrorists near the city of Palmyra, in which he destroyed several combat vehicles. On June 7, 2016, sergeant Mikhail Shirokopoyas died in a Moscow hospital after being seriously wounded in a landmine explosion in the Syrian province of Aleppo. On June 16, 2016, a Russian serviceman, who was escorting a humanitarian convoy of the Russian reconciliation center, died in a field hospital. Andrei Timoshenkov was seriously wounded in a car bomb blast, but he managed to prevent the car from exploding near civilians, who lined up to receive humanitarian assistance. 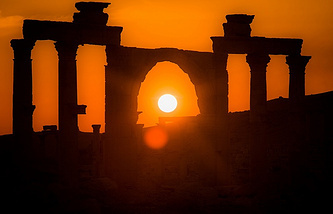 On July 8, 2016 Russian pilot-instructors were testing a Syrian Mi-25 helicopter east of Palmyra when they spotted a large group of Islamic State militants trying to break through the Syrian army’s defences. The crew decided to attack terrorists, but the helicopter was downed after they ran out of ammunition and tried to turn back. Both crew members - Col. Ryafagat Khabibulin and weapons system operator Evgeny Dolgin - died. On July 22, 2016, Russian contract soldier Nikita Shevchenko was killed in a roadside bomb blast while escorting an aid convoy in the province of Aleppo. On August 1, 2016, a Russian Mi-8 helicopter was downed in the Idlib governorate while returning to the Hmeymim airbase from a humanitarian aid delivery mission in Aleppo. The helicopter had three crew members (Roman Pavlov, Oleg Shelamov and Alexei Shorokhov) and two officers of the Russian reconciliation center on board. All of them died. On August 12, 2016, the head of Russia’s Kabardino-Balkaria republic in North Caucasus, Yuri Kokov, confirmed unofficial reports that a resident of the republic, Asker Bizhoyev, was killed in Syria. According to the official statement, the serviceman died as a hero while performing his combat duty and was decorated posthumously. The Russian Defense Ministry did not comment on the information. On December 5, 2016, two Russian nurses, Galina Mikhailova and Galina Durachenko, were killed when terrorists shelled a Russian makeshift hospital in Aleppo. They were young women under 40 and had children at home. Vadim Arsentyev, a pediatrician, was severely wounded in the attack. Local citizens who visited the hospital were also seriously wounded. On December 7, 2016, Russian Defense Ministry announced that Col. Ruslan Galitsky has died of wounds in Syria when "opposition" militants shelled a residential area in Aleppo. Galitsky served as a military advisor at a Syrian army unit. On February 16, 2017, four Russian military advisers were killed and two injured when their vehicle was hit by a remote-controlled bomb on a road to Homs. On March 2, 2017, Russian contract soldier Artyom Gorbynov was killed near Palmyra when a group of IS militants attempted to attack positions of Syrian troops, where Russian military advisers were at the moment. On April 11, 2017, the Russian Defense Ministry announced that two Russian contract soldiers were killed and one seriously injured in a mortar shelling in Syria. On April 20, 2017, the Russian Defense Ministry confirmed the death of a Russian military advisor, Maj. Sergei Bordov, in an attack by militants on a garrison of Syrian government forces. Bordov was among a group of Russian military advisors who took part in the training of Syrian troops. He was mortally wounded while steering defense efforts of Syrian soldiers to prevent a breakthrough of terrorists into the garrison town. On May 2, 2017, the Russian Defense Ministry reported the death of a Russian military advisor, Lt. Col. Alexei Buchelnikov, who was training artillery units of the Syrian armed forces. While the training was in progress, his unit came under a sniper attack, and Buchelnikov received a fatal wound. On July 11, 2017, another Russian military adviser, Capt. Nikolai Afanasyev, was killed in mortar fire in the Hama governorate. On September 4, 2014, the Defense Ministry said that two Russian contract soldiers, escorting the Russian reconciliation center’s convoy, were killed in mortar shelling by militants. On September 24, 2017, the leader of a group of Russian military advisers, Lt. Gen. Valery Asapov was at a Syrian army command center to help Syrian commanders in an operation to liberate Deir ez-Zor. He received a fatal wound when the center came under mortar shelling by Islamic State militants. On October 1, 2017, the Defense Ministry announced that Col. Valery Fedyanin has died in a Moscow hospital of wounds received in Syria. Fedyanin arranged delivery of humanitarian cargoes by the Russian reconciliation center in the province of Hama when the car he was travelling in drove onto a landmine on September 22. 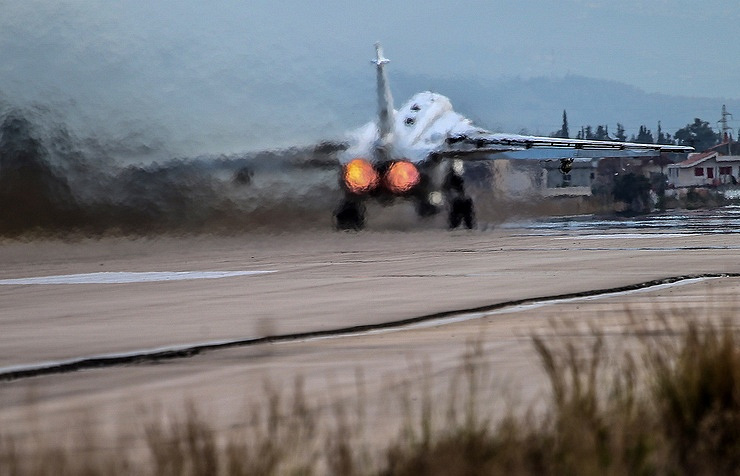 On October 10, 2017, a Russian Sukhoi Su-24 bomber skidded off the runway during takeoff at the Hmeymim air base in the Latakia Governorate. The crew (pilot Yuri Medvedkov and assistant Yuri Kopylov) failed to eject and died. No damage on the ground was reported. A technical malfunction is seen as a likely cause of the accident. On December 31, two Russian servicemen were killed when a mobile militant subversive group opened mortar fire at the Hmeymim base. According to media reports, one of the victims was Renat Gimadiyev, who was laid to rest near the Far Eastern village of Matveyevka on January 5. On January 3, 2017, the Russian Defense Ministry said that on December 31 Russia’s Mi-24 helicopter crashed due to a technical malfunction during a flight to Syria’s Hama airfield. Both pilots were killed in the crash. Another crew member was injured and received required medical assistance. The ministry denied reports that the Mi-24 had been in the line of fire, citing a technical malfunction as a likely cause of the accident. On February 3, 2018, a Su-25 fighter jet of the Russian Aerospace Force was shot down by militants when flying over the Idlib de-escalation zone in Syria. The pilot, Maj. Roman Filipov, managed to report ejection from an area controlled by Jabhat al-Nusra terrorist group (outlawed in Russia). He fought with militants on the ground, but blew himself up with a grenade after being seriously wounded. His body was returned to Russia on February 6. According to preliminary information, the jet was brought down with a man-portable air defense system.